This traditional pattern 22carat pure gold mangalsutra is designed for auspicious funcitions and bridal wear. 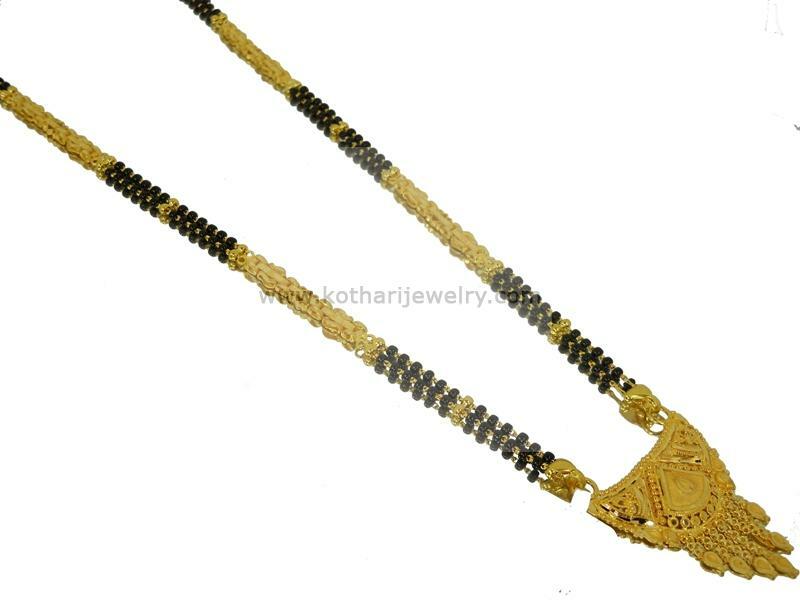 The gold mangalsutra is laced with alternatively placed gold plates. The gold mangalsutra is 916 BIS hallmarked for purity assurance.